Alcohol at a funeral always reveals some new truth. During the wake for their neighbor, el Trino, Cecilia and Julian serve up a new recipe that combines rum and salsa picante, and of course, stories from the crowd come out. 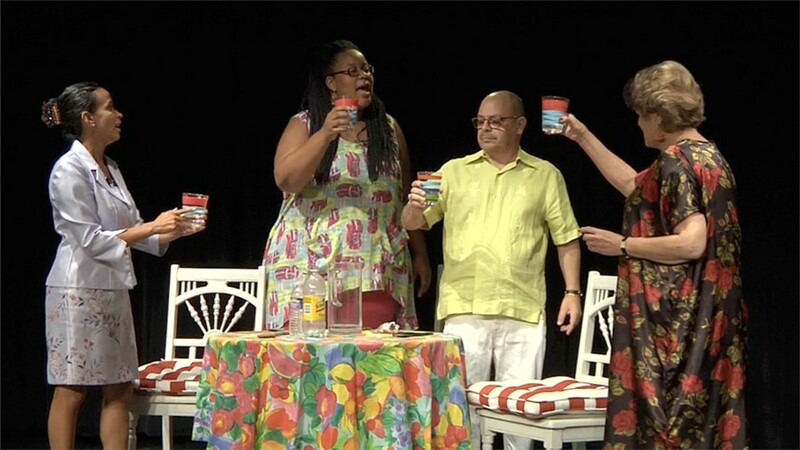 Rochester Latino Theatre Company Artistic Director Candide Carrasco's comedy "Rumba y Mojito Picante" debuted during the 2016 Rochester Fringe Festival, and the original cast — Mary Rizzo, Rubén Gómez, Stephanie Paredes, and Elena Goldfeder — return this weekend for a new production at MuCCC. The bilingual (English and Spanish) show touches on racism, homophobia, and conservatism, and how those views can impact a community. RLTC will stage "Rumba y Mojito Picante" on Friday, May 19, through Sunday, May 21, at MuCCC, 142 Atlantic Avenue. 7:30 p.m. on Friday and Saturday; 2 p.m. on Sunday. $15 advance; $20 at the door; $10 senior and students. There will be a VIP reception on Friday ($25). facebook.com/rochesterlatinotheatrecompany; muccc.org.